What do Wayne Gretzky, Yo-Yo Ma and great sales professionals have in common? They all spend an immeasurable amount of time honing their craft. This is the catalyst to the 10,000 hours needed to become an expert at anything. 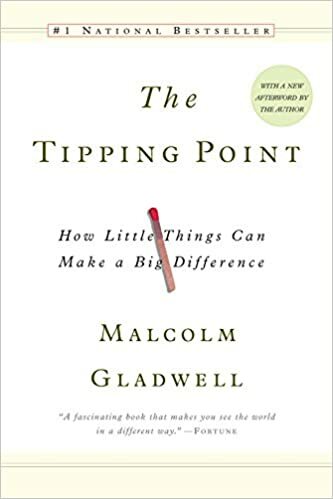 If you’ve read the book The Tipping Point: How Little Things Can Make a Big Difference by Malcolm Gladwell, you know these stories—how Wayne Gretzky became the greatest hockey player of all time. Every day after school, Wayne practised hockey on the rink that his father had created in their backyard. The book also talks about renowned musician Yo-Yo Ma, who spent hours practising his cello. In truth, not all sales professionals will wait for 10,000 hours to become experts at selling! But like Gretzky and Yo-Yo Ma, the reality is that for any behavioral change to exist, there needs to be constant reinforcement and repetition. As Zig Ziglar said, "repetition is the mother of all learning." This is a great question—and truthfully, there is no one answer. While it's a sales professional's role to execute sales actions, it's sales enablement's role to put together a system to measure the effectiveness of the program from inception, to real-time deployment, to reinforcement actions, to return-on-investment. For smaller companies that don’t have the luxury of sales enablement, the enablement role then lies in the hands of the leader themselves. If you’re a sales enablement leader, you have to recognize that social selling is a massive behavioral change from how your sales force is selling today. Some of your sales professionals have been selling the same way for many years, and you can’t expect that they’re going to take a process that’s tried and true to them and shift overnight. But recognize your program can never be successful without a plan for behavioural change, and a way to reinforce that behavioural change. According to Aberdeen Group research, companies that are “post-training reinforcers” achieve better business results. The companies that use post-training reinforcement have seen 34% more new sales hires achieving the quota designed for them by their leaders. The reality is that reinforcement has to be implemented in bite-sized chunks. I've learnt this the hard way. When we first started our business, we tried to make digital transformation happen overnight. We crammed too much information into the minds of our students, and predictably, the learning didn’t stick. So, how do you create behavioral change? By following this simple sequence. 1. Creating awareness that a problem exists. 2. Backing up that problem with facts and figures that a person can relate to which pushes them off their status quo. We call this priority shifting. If you can push them off their status quo, they’ll be willing to listen. 3. Showing them a prescriptive process (or formal sales methodology) to making that change that complements the way they are accustomed to selling, so they can clearly see it’s an additive but simple process to change. 4. Having them practice it as a daily routine. For every deal every day they’re working that account. With this simple sequence, you’ve drawn a baseline in the sand and made an incremental change. It’s now simple to measure how well this is progressing, because you’ve only made one mechanical change. What Can I Do To Ensure Reinforcement Is Successful? - Implement Periodic Refreshers, such as cheat sheets, product updates and how they change your company's value prop, Salesforce reminders for CRM best practises, etc. - Spot Check Sales Readiness, such as assignments, pop quizzes, etc. - Reinforce With Coaching and Simulation Exercises, such as real-time call coaching, recording and analyzing pitches and using them as learning experiences, etc. - Mentoring, such as internal training, a mentor system, etc. - Make it Mobile in order to ensure these activities become of your salespeople's daily activities. You're now set to test how well this learning behaviour translates into sales outcomes, and how that sales outcome translates into business results. This is exactly what Gretzky did: he learned a new skill, practised relentlessly until he saw sales outcomes (goals) and watched those outcomes translate into business results (games won), eventually leading to four Stanley Cup wins with the Edmonton Oilers.